A long time reader, who has enjoyed John Clark and everything he got into. It seems Father Time put John on the shelf before his time and there bye removing a lynchpin of these stories. John Jr again chases his tale. 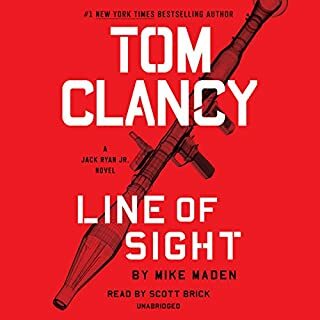 The next book my be about his sister uncovering a plot durning surgery. The book a snoozer and Scott Brick the hero. A riveting novel, start to finish. The biggest problem is putting it down. I could spend 100 hours listening. This is a mix of good adventure, British charm and real feelings. What disappointed you about The Romanov Ransom? Begin with a workout story add numerous European names, who have no bearing on the plot or let’s say marginal. It drags and never get out of third gear. Disappointing to a Cussler, read all. 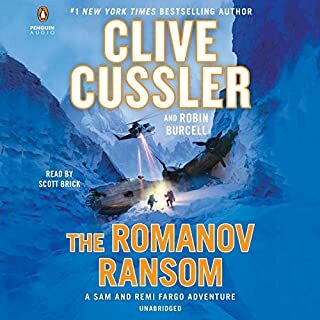 What character would you cut from The Romanov Ransom? The year is 1911. Chief Investigator Isaac Bell of the Van Dorn Detective Agency has had many extraordinary cases before. But none quite like this. 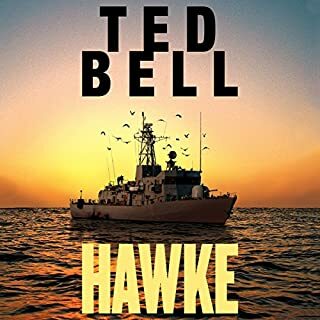 Hired to find a young woman named Anna Pape who ran away from home to become an actress, Bell gets a shock when her murdered body turns up instead. Vowing to bring the killer to justice, he begins a manhunt that leads him into increasingly more alarming territory. unlike his other books this one has less action. 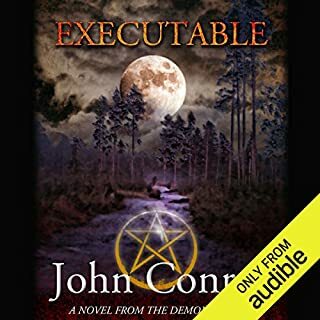 Has The Cutthroat turned you off from other books in this genre? 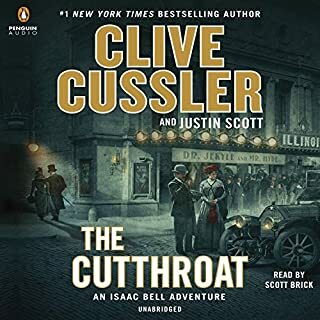 Who would you have cast as narrator instead of Justin Scott and Scott Brick ? Someone who likes flow more then action, since you need more words how about not over thinking the plot and follow the who, what, when and why. 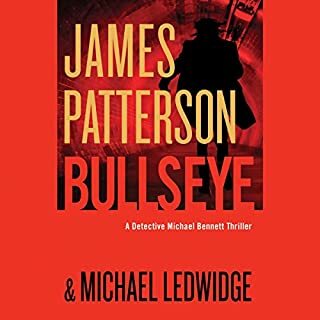 Would you ever listen to anything by James Patterson and Michael Ledwidge again? Who would you have cast as narrator instead of Danny Mastrogiorgio? If you could play editor, what scene or scenes would you have cut from Bullseye? For 17 years Declan O'Carroll has lived quietly in the upstate Vermont town of Castlebury, waiting impatiently for a chance to get out and meet the great wide world. When an odd new girl appears in town, Declan finds out that the world might be coming to meet him. But the big question remains...who is in more danger? Declan or the world? This is a Segway into a new series. It should be Book 1 of a witch. What was most disappointing about John Conroe’s story? It was not part of the series I learned to love, rather a crowd draw for a new series that I am sure to follow. Stay on task, don't introduce a whole book to the reader on a different character who bought or thought he bought a new chapter in a series he loved. So annoying I might call it a Bait and Switch. If you could play editor, what scene or scenes would you have cut from Executable? Will return it since it is not what I was paying for.